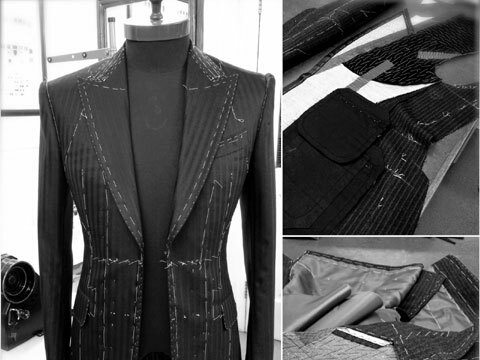 History of bespoke dates back decades ago during the advent of clothing and tailoring. Bespoke has been in India since generations and the majority of Indian population had been wearing tailored clothing until the late 1990s. The advent of ready to wear garments with the entry and expansion of international and domestic apparel brands led to increasing popularity of ready to wear segment, especially in the urban areas and ever since the segment has grown at a phenomenal rate and has outpaced the bespoke category. With the rise in disposable income and also growing awareness about global brands, more people started buying branded clothes with graded sizes that best fitted most of them. However, custom tailoring went out of vogue for only a brief period of time. Not all were satisfied with the readymade apparel options. For the discerning few, the product expectations were still undelivered. They yearned for better quality than the readymade apparel brands and better than tailor- fit. This new demand for the perfect pair of shirt or suit or a trouser led to the emergence to an organized bespoke clothing segment, which evolved in the high streets of metros like Delhi, Mumbai and Bengaluru. While there definitely is a surge in this market as more and more Indian players are getting into bespoke offerings, it hasn’t become a national phenomenon yet. The nature of bespoke business is that it needs a lot of personalized attention which definitely requires scaling of business and scaling a bespoke business is a challenging task as the business needs a robust training program, which is another roadblock in the industry. According to Naveen Pishe, the unorganized nature of the business is a major reason as to why the business has not yet become a national phenomenon. While Akshay Narvekar opines, “Custom-made clothing comes with a premium price tag. Also, the masses have a tendency to opt for off-the-rack clothes as they are easy to purchase and do not have a timeline of delivery.” Another roadblock, according to Sandeep Gonsalves, facing this industry, is the assumption by many of a generic suit size as something they can always work with and a bit of discomfort is a given. The growing sense of perfect fit, awareness of best fabrics, quality international brands and companies offering impeccable bespoke products and a higher detail of product understanding, has led to a drastic growth in people’s inclination towards opting for bespoke clothing. The idea of buying “what I exactly want to buy” is the driver of this service category. Gonsalves from SS Homme, asserts, “Bespoke suits are completely customized. Utmost attention is given to even the tiniest of detail. It gives the consumer the best fit for his body type without compromising on the comfort factor, unlike ready-to-wear suits. Although our target consumers are businessmen and industrialists, during the wedding season, we also offer perfectly customized suits and Indian wear to grooms and groomsmen.” SS Homme handipicks fabrics from the finest mills in Biella. “We have ties ups with prominent fabric houses such as Dormeuil, Huddersfield, Holland & Sherry and Scabal. We have an extensive variety of high quality English and Italian fabrics by Zegna, Loro Piana, Vitale Barberis Canonico, etc. For shirting, we have 100 percent cottons by Soktas, Vaugh and Pickett, Grandi and Rubinelli and Dormeuil. We also have pure linens by Solbiati amongst others. All SS Homme garments are finished with a 1/4th inch burgundy piping. We use horse hair on the chest piece as well as lapels. For closures, we use the finest zips sourced directly from Japan,” he adds. Besides weddings, festivities where customized Indian wear are a big hit or business and travel where normal classic wear is preferred, there also exists a new generation theme in corporate wear. Talking about this new rage in formal, or rather, semi- formal wear, Naveen Pishe says, “The corporate world today accepts people who dress down to workplace. Use of jackets is largely accepted when they are matched with fashionable formals, jackets with shirts and trousers. A wide range of jackets are available at all our PN Rao stores for the semi-formal line/ fashion formal line with different hues, cuts, colours and different fits suiting all body types and need. We see a lot of potential in this segment and are seriously looking at it to tap into the opportunity.” PN Rao prides on its fit, quality and customer experience. “At PN Rao, the process is completely bespoke with the measurements taken on the customer and the pattern made on the cloth just for him, he is called upon for a trial post which necessary changes are made and the garment is delivered to him. We have a high first time right percentage and 45 percent of our business is repeat business and 80 percent is referral,” adds Pishe. They say, change is constant and same is true in case of trends in bespoke segment as well. With constant up gradation from the fashion house of the world like Milan, Paris, New York, etc., accompanied with growing urge for experimentation, bespoke segment has witnessed changing trends time and again. Akshay Narvekar asserts, “In the world of tailored dressing for men, we can see a transition happening with people opting for powder blues, camel, taupe and teal to stand out from the crowd. This season, scarlet reds and sunshine oranges are showing their presence in accents like pocket squares, patterned satin neck ties, socks, etc.” According to Naveen Pishe from PN Rao, the Autumn/ Winter 2017-18 has two highlight colours, i.e., green and purple. “Our new collection named ‘Infusion’, a combination of two different things is a reflection of that. There will be some more products and accessories in the hues and hints of the two colours mentioned above to complete the look. We also have products in motive draping and asymmetrical cuts that are in right now. Additionally, three patterns are making headlines in global fashion circles, i.e., print, checks and jacquard. The big trend we are seeing is that men like to use subtle optics such as use of contrast colour threads on buttonholes, etc. They want a high level of customization options with their names or initials on the product. The fit is still slim and would continue to be that for some more time,” he informs.